Admittedly, I am not the biggest fan of Thanksgiving. I have my reasons but for the most part, it all boils down to the stress that surrounds it all. The task of making a huge meal for your entire family can turn the sweetest person into the girl from the Exorcist. I am, however, a big fan of food! Coming from a traditional southern family, I feel like we have the exact same food at every holiday meal: turkey, ham, peas, some sort of potato dish, sweet potato dish, biscuits, cornbread, stuffing. That's it. We never change it up. Because of this, I decided that when I became a REAL big kid, I would be creative with my Thanksgiving meal. Here are a few recipes that I (along with the rest of the internet) think would be the perfect addition to your Thanksgiving. 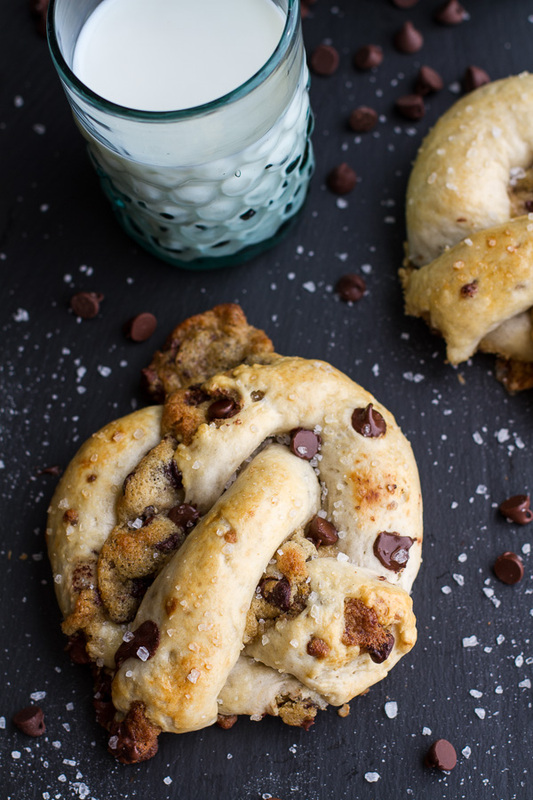 Clickthrough the photos for each recipe. 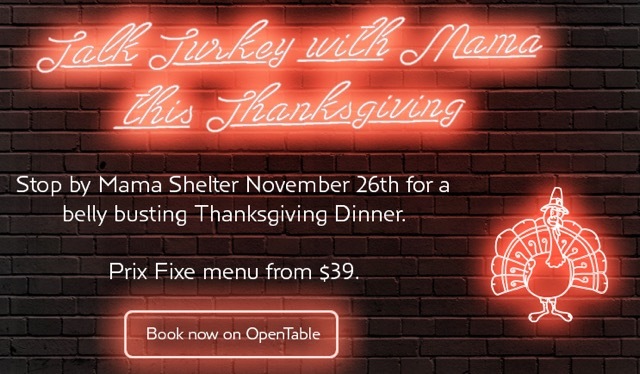 For those of you Angeleno's who aren't so good in the kitchen, Mama Shelter Hollywood and their Chef Giselle Wellman have created a great Thanksgiving dinner menu that's just $39 a person! Chef Wellman has created a Thanksgiving feast and menu featuring all the traditional favorites you’re longing for. Served family style, Mama's Thanksgiving menu will include the hotel's famed Brussel Sprouts Salad (with walnuts, cranberries and apples added for the occasion), Corn Bread Stuffing, Roasted Sweet Potatoes, Deep Fried Free Range Turkey (complete with parsnip mash, cranberry, chutney and gray) and to top it all off... Mama's Pumpkin Pie! Mama Shelter Hollywood and the hotel's staff will make you feel like you are home for the holidays!